Why should a pool owner consider a variable speed pump? Scott: The simple answer is variable speed is going to save you a lot of energy, but more importantly it’s going to save you a lot of money compared to a single speed pump. 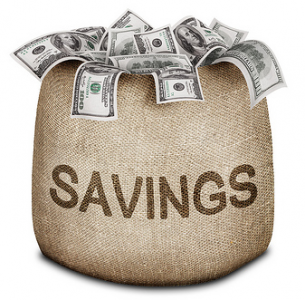 Tests show they can save up to 80%, 90% up to $1,500 a year, so you’re going to save money for these pumps. They’re going to pay for themselves. Other benefits, they’re incredibly quiet. A single speed pump runs at one speed and then they can be noisy at times. A variable speed pump, you run it at a low speed, it’s going to be very quiet. A couple other benefits it’s typically better for filtration sanitization because you’re slowing things down. Everything is mellow and that’s better for the life of the equipment. Really, the final piece to that is that you’re keeping water moving and then moving water is happy water. Versus a single speed pump you might run eight hours a day, 12 hours a day that means it’s moving for 12 to 16 hours a day. 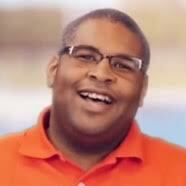 It really is a better experience for the pool and it pays for itself while it’s doing it. Further Reading: Variable Speed Pool Pump or Dual Speed… Which is Best for Me? Let’s start with the Max-Flo. 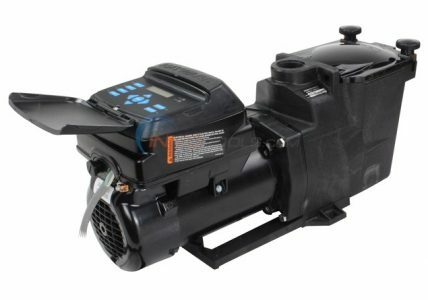 What makes this pump the right choice for a pool owner? Fair question, why would you go with the Max-Flo? First, I’ll say we’ve got four versions, they’re different sizes. The same way the industries had forever different sizes a half or 1, a three horsepower pump. The idea is you pick the pump that’s the right size for the application. If you need to move a lot of water, you can get the big pump, if you need to move not as much, you can get the medium, and if you got a basic pool only or a smaller plumbing whatever reason may be, you go with the pump like this. This is Max-Flo, this is our smallest variable speed pump in terms of its output, but it’s ideal for a lot of pools particularly in Florida because there are a lot of, thankfully, Hayward Max-Flo, Max-Flo II to the Max-Flo XL single speed pumps and this is a drop-in replacement for it. It’s basically one and a half horsepower and that’s more than likely what you’re taking out from one and a half or a one, so why put a three horsepower pump to replace a one and a half? This is ideal for that type, I’ll say, smaller pool or older plumbing. Does the Super Pump have a variable speed equivalent? We compare the Super Pump (115V / 230V) it to Ford’s F150 because it is has been around forever and it is the backbone of our pump division. Because of its importance to us so we had to have a variable street versus that because it’s a drop-in replacement. The same idea about one and a half horsepower it’s going to be the right size, and you’re not paying for more than you need. You’re not paying for F250 when you only have an F150. Is the TriStar available in a 3 HP only? Two different version. We have TriStar 2 HP and the TriStar 3 HP, so the same idea. We started with the three horsepower and a great pump, and you can turn it down, but you’re paying for more than you may need. Again, if you’re replacing a one and a half and you’re paying for three, you’re paying for something you’re never going to use. We have a three horsepower version that you can move all sorts of water, but then we also have the two horsepower version when you don’t need to move quite as much. The same way pool professionals have been picking the right size horsepower forever, they look at the size of the pool and all the other stuff, and they got water features or spies and they go, “We need a two horsepower.” They can do the same thing here. It can look intimidating, but the same thing they’ve been doing, they just do it now and pick the one that’s right for the application. Did your variable speed controller get an upgrade recently? It did. We did our original lineup and then to Max-Flo and Super Pump, they were not consistent. They did all the same things in terms of saving energy and quieter, but it was like having to learn Apple and Android. They did the same thing but you had to learn two different ways. We commonized the user interface now, so I guess to keep using the Apple analogy. If you learn one, you learn your iPhone you can use an iPad, they don’t make iPods anymore, but they’re all the same now. The same user interfaces, they all program function and do the same thing in terms of how you program them, how you can rotate them in different positions, you can mount them on the wall. They all talk to Hayward automation. They can work with other controllers through relay control. They all do the same functionality and it just comes back to pick the one that’s the right size. The control is rotatable and mountable, correct? Yes, so you undo these two screws and I can be in different positions because we learned that what looks good here in the showroom, in an equipment pad when you’re trying to read this and then go, “My back hurts.” Not quite the same. It’s just two screws and I can put this in any four positions or I can remove it and mount it on the wall with the wired connections. It just makes it a little bit easier for people that have to deal with the reading information that they didn’t have on a single speed pump. Circling back to the sizing, if you have one and a half horsepower because we have a lot of people who might call and say they have one and a half horsepower or Max-Flo and they want to be the big bad guy in the neighborhood, he wants to get the big Tristar pump, and you only have one and a half inch piping, we always have to talk them out of it. What’s the best way to do that? You got to be careful. Bigger is not always better when it comes to pumps because you can actually damage the pump. You can, what’s called starve it. You’re just not getting enough water into it. Or cavitation, exactly. We don’t recommend, for instance, our Tristar pumps on inch-and-a-half plumbing because you will likely starve them and create other headaches. You want to pick the pump that’s right for it. You’ll get a better use of that pump overall. For more information on this topic, feel free to browse our Hayward Variable Speed Pump section. I just bought a MaxFlo VS SP2303VSP. What would you recommend for that pump for pairing it up to a cartridge filter system that would be running a salt water system. Pool is 54″ deep. Round, 21’ft. Is this on an above ground pool? First thing, those prices seems really high; even if the price you quoted includes installation. Inyo sells an SP3400VSP for considerably less. Installation of the pump shouldn’t exceed $200 unless you have some special circumstances. I will confirm the old Hayward variable speed control panel were problematic but a recent redesign is looking to change that. The jury is still out on the effectiveness of the redesign. 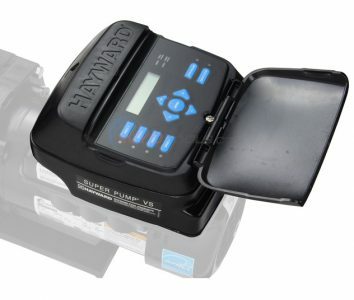 I currently have a Hayward single speed pump and am thinking about purchasing a Pentair variable speed. Any thoughts or recommendations. I have a Hayward sp2303vsp that is about 18 months old and the computer boards went out in the control box above motor. No one seems to sell parts to repair this. Any thoughts?